Compare prices and find affordable car hire in Orlando. We search among multiple suppliers to find the cheapest prices. Unlimited mileage, the necessary insurance and tax are included in the rate given. Orlando is one of the most popular cities in all of Florida. It boasts a population of 238,300 inhabitants (2010) and is 261.5 square kilometers in size. Orlando holds the nickname “The City Beautiful” and is known for housing the Walt Disney World Resort, as well as the Universal Orlando Resort, SeaWorld, and Went ‘n’ Wild Water Park. It is a primary tourist destination for families and friends from around the United States as well as all over the globe. 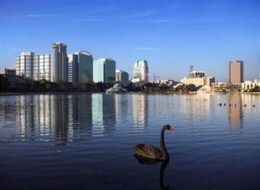 Most tourists come to visit Orlando either between June and August or March and April. Some of the other things to see and do include the Charles Hosmer Morse Museum of American Art and the Ripley’s Believe it or Not! Orlando Odditorium. Other attractions include Discovery Cove, Aquatica, and Gatroland. There is also numerous golf courses, parks, and gardens. The city also sports two very popular dinner attractions – Medieval Times and Arabian Nights. Orlando has a number of sports teams as well, including the NBA team Orlando Magic, and the Orlando Predators, an Arena Football League (AFL). The city of Orlando, Florida is serviced by the Orlando International Airport (MCO). It is located 11 kilometers from the central business district in FloridaAirlines that land and depart at the Orlando International Airport include United Airlines, JetBlue Airways, British Airways, and American Airlines.